Since 2003 Autoworld Used Auto Parts as been the place for you. Our inventory of Used O.E.M. Auto Parts is unmatched by our competitors, and our Part Specialists are more than happy to help you search our inventory for the parts you require. We offer a full line of O.E.M. Used Auto Parts for your New or Used Vehicle. Why call all around town? Contact us today because if we don’t have it, we can find it. Are You in the Export Business & Need to Ship a Container of Used Parts? 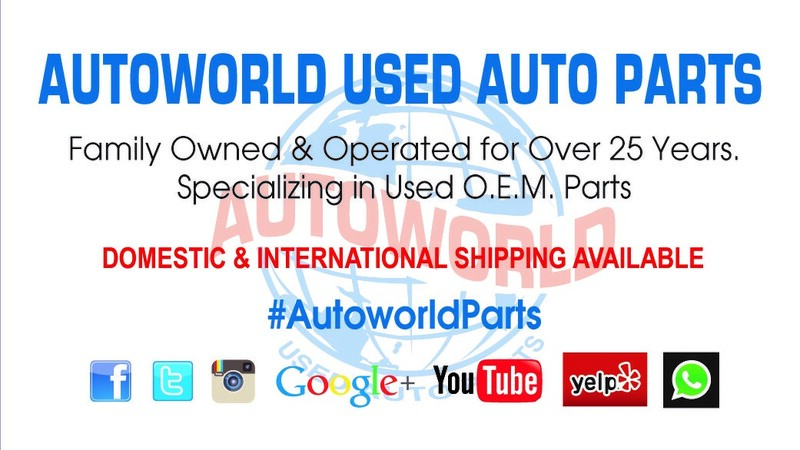 At Autoworld Used Auto Parts we offer the best from Salvage, Damaged, and Wrecked Vehicles and can fill almost any size Container with the parts that you are looking to Export or Scrap.